This entry was posted on April 8, 2019 by Harrisons. Mrs Hinch has taken the social media world by storm, inspiring countless “Hinchers” to give their home a deep clean and have fun while doing so! Amongst the abundance of fashion and style Instagrammers, Mrs Hinch’s cleaning tips are a breath of fresh air, and following them will certainly freshen your home up too! As a result of the Hinching craze, retail cleaning product sales are on the rise, with Hinchers sharing their "Hinch Hauls" on social media - and it's therefore a great time to stock up on Mrs Hinch approved cleaning products. 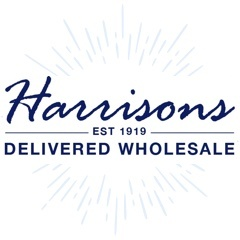 Here at Harrisons Direct, we stock many of the fantastic wholesale cleaning products that Mrs Hinch raves about and that are becoming like gold dust to her 2.2million (and counting!) followers... take a look at our Harrisons Hinch Haul! Zoflora has been around for over ninety years, but it has seen a surge in popularity in the last couple of years, which we think must be partly attributed to the Mrs Hinch craze! The multipurpose disinfectant can be used to bust germs on anything and everything around your home, and leaves a deliciously fresh and welcoming scent. With four different floral fragrances included in this wholesale Zoflora Concentrated Disinfectant Assortment, your customers can mix, match and find their fave! This pine scented, germ-eliminating spray is another trusted favourite of Mrs Hinch’s and is a wholesale cleaning product must-have. Perfect for sterilising surfaces, toilets and sinks, wholesale Stardrops 4-in-1 Disinfectant comes in a handy spray bottle for quick and easy cleaning. Hobs are on the frontline when it comes to household grease and grime, and therefore need an effective cleaner to shift the spills and make them shine… and wholesale Astonish Hob Cream Cleaner will do just that! Plus, it will even leave a protective coating to help shield your hardworking hob from future overflows - no wonder this fantastic product is recommended by Mrs Hinch! A kitchen staple in British households for almost 70 years, we're not surprised that grease-busting Fairy Liquid is in Mrs Hinch’s cleaning toolkit. Only a tiny amount of Fairy Liquid is needed to make a full sink of pots and pans sparkle, and so it’s sure to give your customers product satisfaction! Add wholesale Fairy Washing Up Liquid to your shelves and watch it fly out the door in no time. A daily essential for Mrs Hinch, wholesale Harpic Active Fresh Cleaning Gel is another must-have for customers who have joined the “Hinch Army”! And even if some of your customers haven’t yet discovered the super sparkly world of “Hinching”, everyone wants a fresh loo, and with limescale and stain removal power, plus an invigorating pine scent, Harpic Gel is the ideal product for the job. Browse our brilliant range of wholesale cleaning products now and stock your shelves with the hottest Hinch-worthy products!